In inspiration, thoracic volume increases and thoracic pressure decreases. 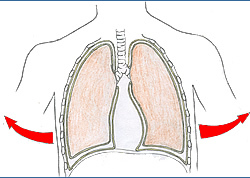 Contraction and flattening of the thoracic diaphragm. 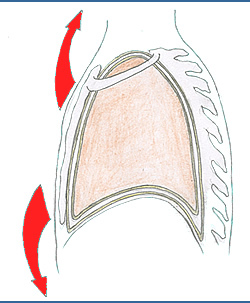 Raising of the ribs by external intercostals. Reduction in intra thoracic volume by decrease in all three diameters.